Ole's DX-blog: RADIO L, VADUZ LICHTENSTEIN 88.8 QSL NEW COUNTRY! 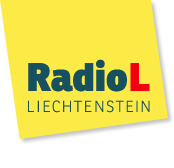 RADIO L, VADUZ LICHTENSTEIN 88.8 QSL NEW COUNTRY! Radio L was heard on June 6th 2017. Today I finaly received a e-mail verification from them. New country for me!